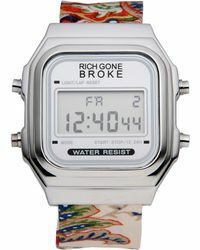 Based in Paris, Rich Gone Broke is a fresh, forward-thinking watches label aimed at 'young creatives, free spirits and bohemian travelers'. 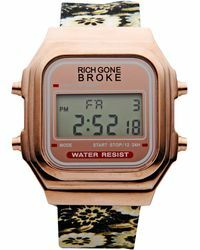 Since 2013 it has brought together a team of artists and trend-setters to create each exciting line of Rich Gone Broke watches, where unconventional design details take center stage. 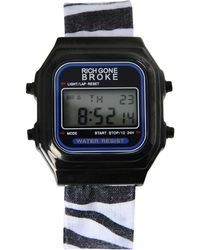 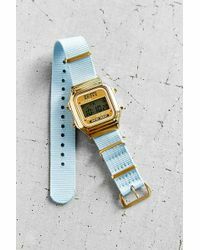 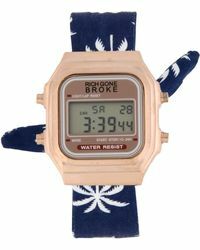 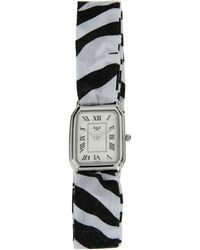 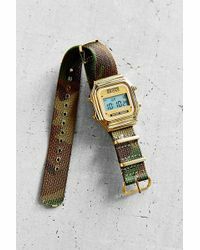 Today, the Rich Gone Broke watches collection features a vibrant range of fabric-strap and stainless steel designs, brimming with eclectic prints and wild colors that will transform any outfit. 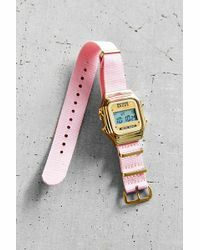 A youthful twist on the classics, these pieces are packed with personality and life.